Natural methane hydrates trapped in marine sediments or frozen soils of polar regions, are estimated at between 2 and 10 times the known conventional natural gas deposits capacity. The exploitation of these deposits prospects, but also the risk of massive release of methane into the atmosphere by the destabilization of the hydrate layers, due to global warming, arouse a growing interest in the scientific community. Hydrates formed during drilling operations, production or processing of hydrocarbons are the cause of costly and potentially hazardous industrial incidents. They are being studied to predict their thermodynamic and kinetic conditions of formation, in order to avoid it. Storage and transport of cold in cold storage, tertiary and residential air conditioning. Capture of pollutants, such as CO2 or NOx in the flue gas of power plants, capture and separation of fermentation gases (CH4, CO2, CO) from biomass. Gas storage and transportation (natural gas, hydrogen). Water Purification. Experimental methods and original modelling developed at UCP for the study of gas hydrates have applications in these areas, materialized by many academic and industrial collaborations in France and abroad. 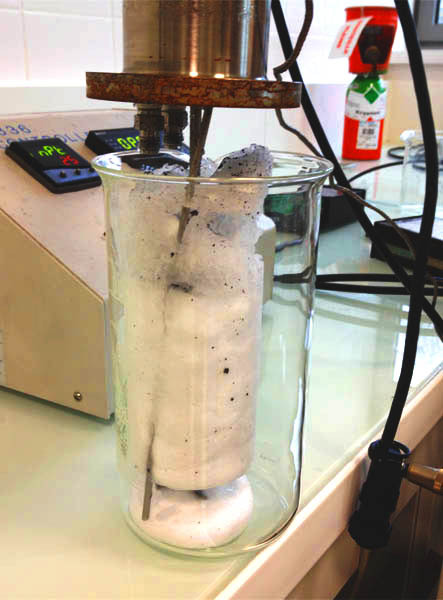 Experimental methods and original modelling developed at UCP for the study of gas hydrates have applications in these areas, materialized by many academic and industrial collaborations in France and abroad.